How to find some vehicles for my armies? Well, go to a train modelling convention, buy a cheap car from car collector, re-paint it. 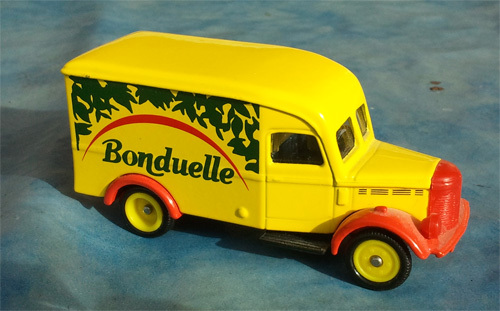 Here you can see a Bounduelle van. I don’t want a salad but war, so a touch of dark grey-green paint and it is ready for my BUF army. 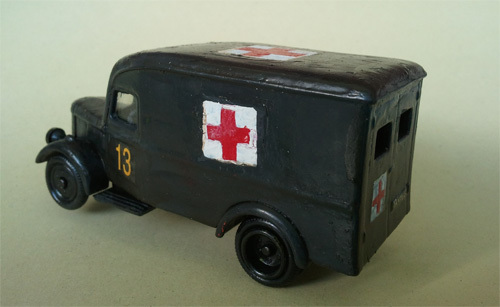 I don’t know what kind of van it is, but it appears to me like a design that fit in VBCW 1938 scenario, even if it is more probably from later years, around late ’50s I suppose. I don’t care about cars or vans, I prefer tanks. 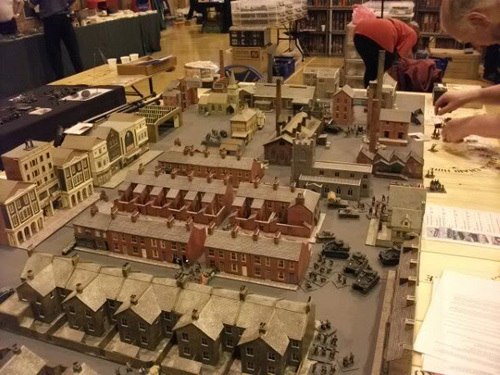 If you can remember, I’m building a city for my 28mm soldiers, Flyton. 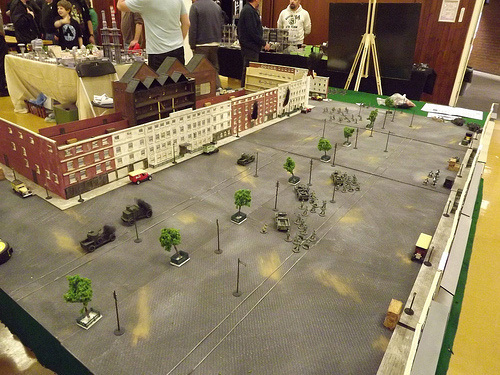 Well, a city is a big prospective, I’m only thinking about a wargame table saturated by buildings for an urban set. 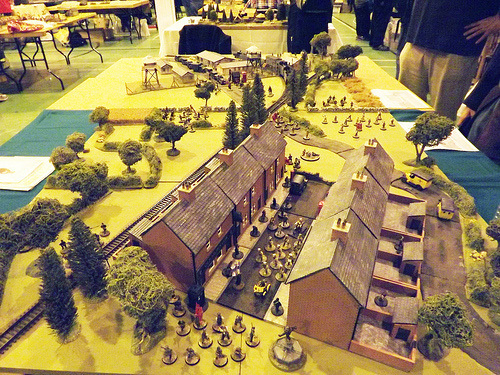 I like the design of British cities, as I like Very British Civil War scenario, so I wish to reconstruct a part of them for my gaming goals. 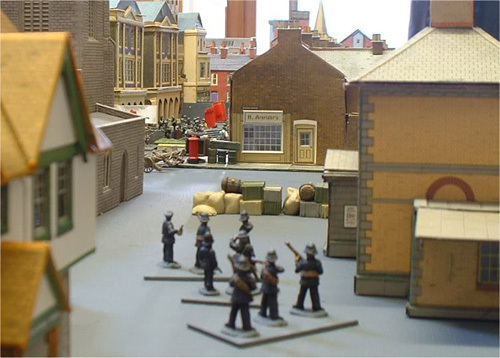 Since a couple of years I’m looking for the right terraced houses models in 1:56 (28mm) scale. I found cardboard designs for railway modelling, resin blocks, shaped MDF. But I haven’t reached a decision yet. In the meantime I started other projects, but I want to build this one once for all. Maybe in the following months I will take bricks and wood to start my city. This is my mayor. He arrived this morning by mail from Madison WI. 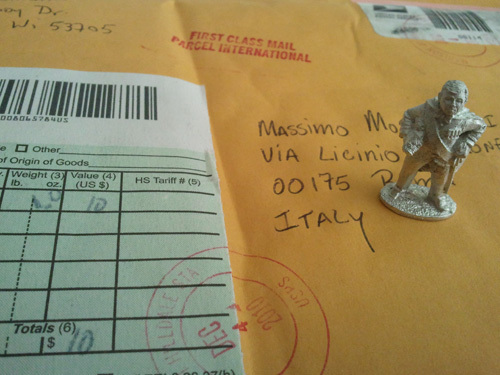 This nice guy made of lead is the result of a great idea: honour a dead father with a miniature that represent him. His name was Dan J. Binsack and you can find more informations here. 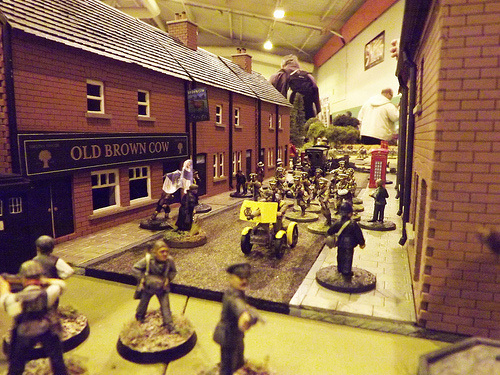 A lot of people bought this lead person, especially in the circle of Very British Civil War players. So he is present in a lot of games. I found for him the role of mayor for my Flyton in my future games. Instead it is partially logical. 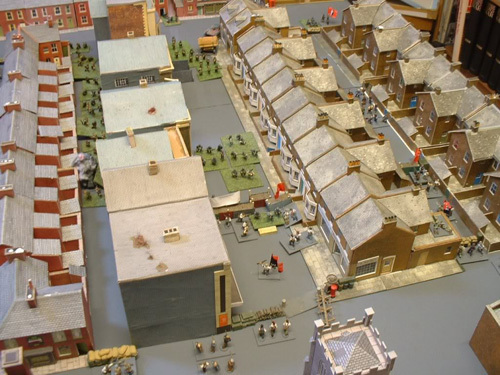 I want a city to set my skirmish games, because in skirmish battles with firearms you cannot have a scenery based on a lawn (the first who moves kills all with a burst), and put some tins or books around is dreary. 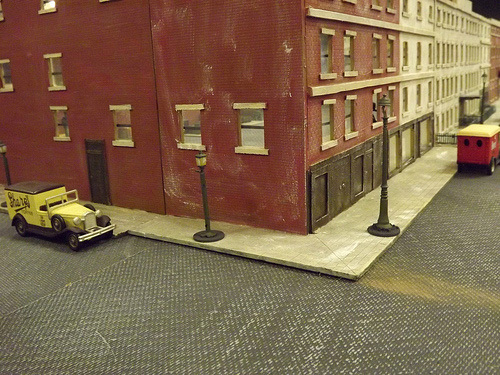 So this bus is the first thing I bought to set a scenery, the first brick of my city. 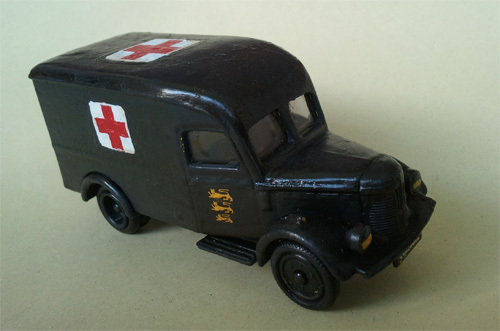 I bought for few quid on E-Bay this old model, almost a wreck. 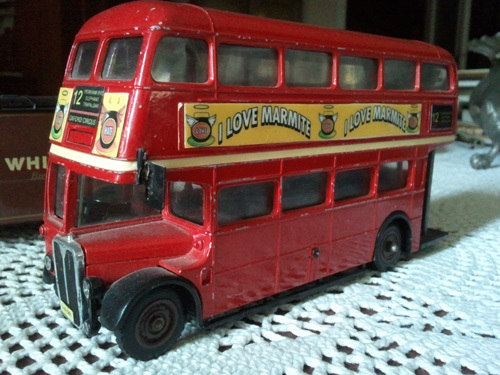 I repaired some lost parts, put the numbers of the 12 line (I was taking this bus line when I went to Luca’s house) and changed its disrupted adverts with Marmite ones. Its aspect is around the ’50 I suppose, but I will put it in every set since 1938 to 21th century. 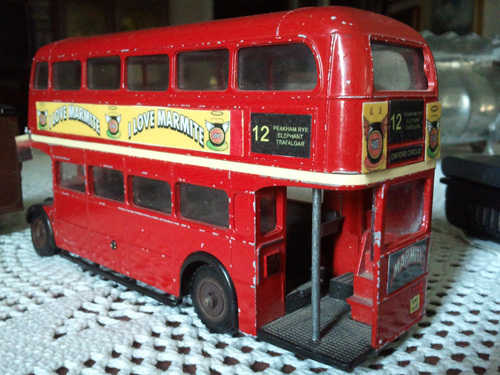 Who cares is sometime it will be not chronologically exact, it is always a double deck, an English icon.